Cranberries (singular: cranberry; Vaccinium macrocarpon)) are creeping shrubs or vines that grows to about 2 meters in length and up to 20 centimeters high. Cranberry is native to Northern America and Southern Asia growing wild in sandy bogs. Cranberry is used as food and medicine by Native Americans for centuries. Cranberry stems are slender with small evergreen leaves that are speckled with tiny dots underneath. Cranberry blooms pink flowers with very distinct reflexed petals, leaving the style and stamens fully exposed and pointing forward. Cranberry is related to blueberry, huckleberry and bilberry. Cranberry has an edible fruit that is initially white but turns to black red color when ripe. Cranberries are cultivated as commercial crop in some northern states of America and Canadian provinces. Cranberry fruits are processed into products such as juice, jam, sauce and sweetened dried cranberries. Cranberry being rich in nutrients and fiber is good for health. But what really makes cranberry special is its rich array of phytomutrients that brings varieties of health benefits, from being an antioxidant, anti-cancer to anti-inflammatory and others. The phytonutrients found in cranberries are anthocyanins, flavanoids, phenolic acid, proanthocyanidins and triterpenoids. These phytonutrients has been found to act in synergy providing optimum health benefits if compared to the sum of individual phytonutrient effect. Laboratory studies have shown that commercially processed cranberries such as juice and sauces have lost much of these phytonutrients. It has been found out that the bulk of cranberry’s phytonutrients are in the skin and flesh which unfortunately are left out during processing. Another compelling health benefit derived from consuming cranberry is that it has anti-cancer activity. While consuming cranberry may not be a cure for cancer but studies suggest that dietary intake of cranberry can help prevent cancer or supplement other cancer therapies and treatment. Cranberry also has an anti-inflammatory health benefit. The phytonutrients in cranberry has been found to effectively reduce unwanted inflammation. In a study conducted about periodontitis, a chronic inflammatory disease affecting oral tissues. Cranberry fraction was found to be a potent inhibitor of the pro-inflammatory cytokine and chemokine responses induced by lipopolysaccharides . This result suggests that cranberry constituents have value for the development of a new therapeutic approach for the prevention and treatment of periodontitis. 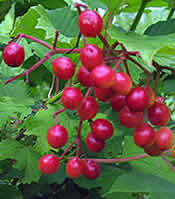 Cranberry has long been used as folkloric treatment against urinary problems including urinary tract infection or UTI. This medicinal benefit of cranberry has been studied in laboratory and results show that cranberry has been effective in vitro and in vivo in animals for the prevention of urinary tract infection (UTI). Cranberry appears to work by inhibiting the adhesion of type I and P-fimbriated uropathogens (e.g. uropathogenic E. coli) to the uroepithelium, thus impairing colonization and subsequent infection. The synergestic effect of cranberry in providing antioxidant health benefit as we al anti-inflammatory benefit from its phytonutrients has been considered to offer cardiovascular benefits as well. In a sample conducted in people. Subjects where cranberry has been included in their diets have indicated a reduced risk of developing atherosclerosis (the thickening of the blood vessels). It has been found out that cranberry may be responsible in inhibiting the activation of two enzymes, inducible nitric oxide synthase and cyclo-oxygenase 2, that are pivotal in the development of arthrosclerosis. Cranberry prevents the activation of these enzymes by blocking the inflammatory cytokine-messaging which makes it beneficial in cardiovascular protection. The antioxidant activity of cranberry, likewise play a key role in cranberry's acclaimed cardiovascular benefits. In laboratory studies in animals, intake of cranberry extract has reduced the development of high blood pressure in mice making it beneficial against cardiovascular problems. The cranberry extract acts by reducing the oxidative stress inside the blood vessels thus preventing the over constriction of the blood vessels and the unwanted increase in blood pressure. Moreover, cranberry has been found to lower the LDL-cholesterol level in the blood while at the same time increasing the good HDL-cholesterol level. The oxidative and anti-inflammatory constituents found in cranberry have been found to provide these health benefits. Fresh cranberries have a limited season and are available from September through December. Cranberries can be bought from fruit stands, markets and directly from farmers and growers. Processed cranberries are also available in the form of juices and sauces and are available in most supermarkets in suitable packaging. Cranberry is likewise widely sold online such as in ebay and amazon such as AZO All Natural Concentrated Cranberry Tablets. Cranberries ripe fruit can be eaten fresh or may also be used in cooking. For urinary tract infections (UTIs): Drink cranberry juice 1-10 oz daily. For type 2 diabetes: Six capsules (equivalent to 240 mL cranberry juice cocktail) daily for 12 weeks. Encapsulated formulations are often taken in doses of 300-400 mg twice daily. Cranberry is likely safe to most people. Research showed that cranberry fruit, juice and extracts are likely safe even for young children. 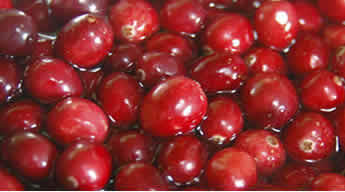 Cranberry is also safe for pregnant and breast feeding mothers. Cranberry may cause diarrhea if consumed in large quantity. Cranberry contains salicylic acid. Salicylic acid is similar to aspirin and may cause allergic reaction for people who are allergic to aspirin. Cranberry contains oxalate which may form into kidney stones if taken in large quantity. People who are at risk of kidney stones are advised to limit cranberry intake to prevent kidney stones formation. Commercially available cranberry juices are sweetened with sugar. People with diabetes are advised to read labels and take cranberry that are processed with artificial sweeteners.